'Hotline Bling' woman, whoever you are, we need to hear your side of the story! 21. 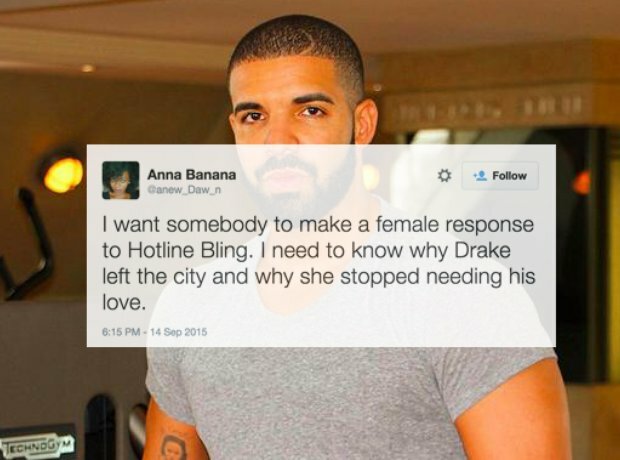 'Hotline Bling' woman, whoever you are, we need to hear your side of the story!